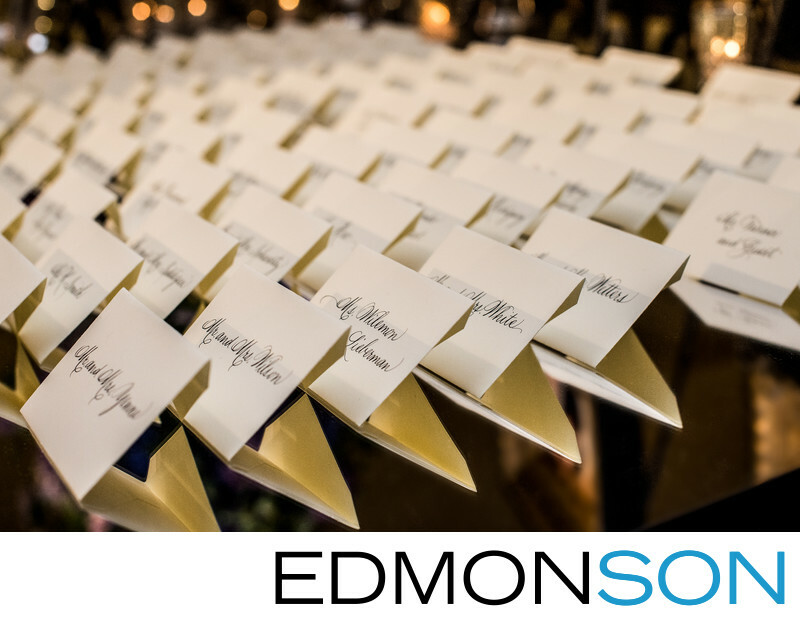 After the ceremony ends and before the reception begins, these wedding name cards shown in white wait for the guests to guide them to their table. Location: 1321 Commerce St, Dallas, TX 75202. 1/320; f/5.6; ISO 2000; 50.0 mm.